For years Mehr has lived as an outsider in her own home. Her mother’s people, the Amrithi, are outcasts in the Empire. The magic in their blood and their beliefs supersede and go against the law and religion put forth by the Emperor and the Maha. Mehr’s mother left years ago and ever since her father, a high-ranking governor for the Emperor, has kept Mehr and her younger sister sheltered. 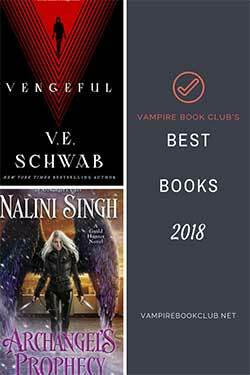 Mehr has lived the last nine years holding on to her mother’s beliefs and performing the rites of her people not knowing the danger that surrounds her. When her power is unintentionally revealed to the Maha’s mystics, Mehr is pulled into service for the Maha, binding herself to perform a rite that may have terrible consequences for the Empire. Tasha Suri’s debut novel is vividly lush and atmospheric. The story immediately called to my mind Kate Elliott’s Cold Magic (Spiritwalker Trilogy #1). In that it deals with these young women who are on the verge of understanding their potential and power when they’re unwittingly thrust into a life they’re not prepared for, yet have to figure out a way to survive amongst the treachery and discover their truth. Whereas Elliott’s book was peppered more with a quickly driven plot, Suri’s is very character driven. 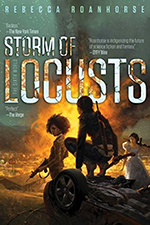 It’s these deeply complex characters that I found so compelling and interesting to read about, but it also meant that it wasn’t a particularly fast read for me. Each conflict is built upon the last like stairs leading us to the conclusion. Just when you think one issue will be the one to take readers to the end, another one pops up leading Mehr on further journeys of self-discovery. I frequently felt like the vastness of the mythology kept things from being completely fleshed out. For instances we’re told that the Empire is ruled by the Emperor and the Maha (law and religion) together. Yet, we only ever encounter the Maha. I felt like the Emperor was this unknown entity just floating on the edge of the story. This is true for certain characters as well. Besides Mehr, whose story it is, I felt like we get closer to Amun, another Amrithi bound by the Maha, than any other secondary character. Often, I just wanted a little bit more from the secondaries, understanding their motivations and stories a bit more would have been nice. I’m hoping these are things that will be worked out in the next book(s), so I wasn’t necessarily put off by it, but it’s definitely something I’ll be looking for to happen next time around. Suri spends the majority of the book focused on Mehr’s journey in learning her mother’s people’s traditions including performing daily rites which, to me, flowed like dance and ties them to the land and the spirits of the ancients that inhabited the land in a long ago past. This is hands-down my favorite, and the most beautiful, aspect of the story. 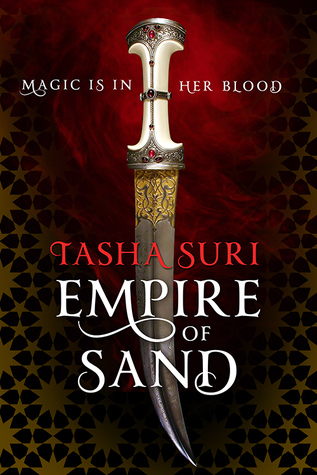 Overall, Empire of Sand was a really well-done story. It definitely left me wanting to find out what happens next, what the possible ramifications will be after an ending that went in plenty of surprise directions.